On her most embarrassing skating moment: It was a show moment, in this little holiday show that I was in, in 1997. I was in a trio and I was wearing a dress with feathers on it, and somehow a feather fell down and I stepped on it and went flying through the air, and landed on my bum in a most ungraceful manner. And then I had trouble getting up. And of course all this was happening in front of an audience. And a fellow cast member who is quite a good cartoonist caught the whole thing — she drew it in a cartoon and gave it to me at the end of the show. And I still have it in my scrapbook [laughs]. On getting started in skating: My older sister was going for group classes with our neighbour in a local rink. And the second year that they were going, I tagged along. And my sister and I ended up falling in love with skating and we skated together for about 10 years. And then she went off to college, and I always assumed I would quit when I went off to college, but every time I was away from skating I missed it. So I kept going back to it. We were really lucky because there were a lot of events near where I lived, including the World Professional Competition in Landover, Maryland. And back then there wasn’t a lot of security, so we could go and watch practice, and then come back in the evening with our tickets to watch the competition. It was very much like a show, all the performances were entertainment-oriented, but they were very creative. And I got to see that year in and year out, and watch those skaters practice, and do amazing things. And that was a huge inspiration for me as a young skater. And I also got to see John Curry’s company perform in Washington. It was a wow moment. And growing up I also saw a lot of live dance. It all made me want to get out there and skate. On becoming a professional skater: I went to college and got an office job. I would say I was a serious young adult, trying to study hard in college, trying to get a traditional job and be really good at it. And I did that for a while and taught and skated part-time. And I quickly realized that something was missing in my day-to-day experience, and it took me a while to figure out what it was. And one of my main clues was that one day walking down the hallway at one of my jobs, it was a long narrow hallway, and I kept envisioning the double flip takeoff. And I thought, oh boy, I am in the wrong job [laughs]. And I was already teaching part-time, so it wasn’t too much of a stretch to make the leap to more full-time teaching. So I was working at the University of Maryland in a research centre in a computing job, and I was teaching more and more at the local ice rink nearby, and I was going across campus at night and starting to take dance classes again. And basically the dance and the skating pulled me back into wanting both to experience my own dance and skating again, and to pick up the one missing piece in my own skating again, which I hadn’t tried. I’d passed my figure and freestyle tests, and I’d tried competing and it was okay, but I had never skated in a show. So I went ahead and made that leap very late, in my late twenties, and I was very lucky to have some positive and fulfilling experiences in Ice Theatre of New York and two small touring shows. It was an unusual path but it was a great experience, because I realized that I liked to perform with other skaters on the ice. It wasn’t a nerve-wracking experience like competition. It was a lot of fun but I also got to put my whole self into it. When I was sitting at a desk working, my day just wasn’t what I wanted it to be. On working with Ice Theatre of New York: I got to skate in a few shows but I also got to work in the office and see how a small non-profit organization works. Both of those experiences were very meaningful. It was great to get on the ice with other skaters and to skate for purely artistic reasons, but it was also great to see how something like that actually functions. On the lack of professional skating shows: I think it’s a real loss for my students. Occasionally Disney on Ice will come, but often it’s a little bit far. And beyond that, there isn’t that much coming through town where they can see live skating. They go to Michael Weiss’ show for his foundation, that’s a good one locally. But the range of skating that they can see live is very small now. And a lot of my students have never seen a live show even though they’ve skated for their entire childhood. And that really doesn’t give them that big vision. Even if they’re never going to go as far as the skaters they see in those shows, it gives them an inspiration and something to look towards, to see professional performance qualities. On judging the Young Artists Showcase: I’m delighted to have been able to participate, and I so enjoy seeing the work of these young choreographers. The diversity, the depth of their work . . . some of the pieces were so incredibly rich. I would love to see the work being performed. Some of it might show up in competition programs, but I hope there would be an opportunity for some of us to see these pieces performed live. Some of them seemed to me like they could be vignettes in a Stars on Ice-type show. On what she would like to see in professional skating moving forward: Because I spend a lot of time with young skaters, I wish that the younger generation of skaters would have a window into professional skating, to know it exists and that they can be a part of it. And for the Foundation, it’s a really wonderful thing to know about the history of our sport. There’s so much great stuff in the archives in the Foundation, and the young skaters today are not particularly aware of the shows or the former stars of the show, or the things they used to do, which now with IJS would belong in competition. So they could actually get ideas from it. I hope that they could benefit from the wisdom and knowledge of professional skating. On his most embarrassing skating moment: Green Bay, Wisconsin, Ice Capades. Skating with my wife, wearing a black costume, 10:30 am matinee, with five nuns laughing at me because my fly was unzipped and the flesh-coloured strap that kept my pants down was hanging out of my pants. Now that was embarrassing. But it was funny [laughs]. I knew it was there but I couldn’t do anything about it because of the lifts and things in the choreography. So I had to grin and bear it. On getting started in skating: I started in Great Falls, Montana, and I saw John Misha Petkevich skate in the spring ice show. And I told my parents that I really want to do that, and they gave me skating lessons for my 10th birthday. We used to do these axel classes on Saturday mornings with Arthur Bourke, his coach and my coach, and we would try to see how much ice we could cover. And his average axel was 25 blade lengths, and mine was 16 or 17. And you look at how big people’s axels are today, they’re half that size. On going into professional skating: As an amateur, I always enjoyed the shows and the exhibitions. I learned how to handle the pressure — I was always a nervous competitor. I progressed through the ranks to Nationals, and it got to the point where I just couldn’t afford it any more. My coach at the time, in Portland, Oregon, had been a principal performer in Ice Capades, and that just seemed like a natural progression to me. She was interested in getting me into the show, she knew the powers that be, and I needed something to do and I wanted to keep skating. I tried coaching and I felt that I was too young and inexperienced. I was a double gold medalist and I had the knowledge behind me, but I just felt like there was more to be done. I joined Ice Capades with my amateur pair partner, Jodi Hanson, and I met my wife, Terry Pagano, there. And we started skating together and performed as the principal adagio pair for 10 years. We skated together professionally until 2003. We did eight or nine years in Charles Schulz’s Christmas shows, and did film work, like choreography on The Cutting Edge, and I was a technical advisor on The Mighty Ducks and on the only Tonya Harding and Nancy Kerrigan exposé that actually made it to being viewed [laughs]. And I worked on filming the opening ceremonies of the 2002 Olympics, and on some Steve Disson projects. And we skated at Sea World in a show that Scott Hamilton produced, we knew him from Ice Capades. We were very fortunate, there was a lot going on that we were involved with. And we coached at Lake Arrowhead during the Michelle Kwan years, the glory years, with about 26 skaters from all over the world. On competing twice in the World Professional Championships: I competed with Jodi Hanson in 1979 and then went back in 1988 with Terry, and we were silver medalists that year. The first time, I was bewildered and didn’t know what to expect. And my partner and I were not prepared to do it, so it wasn’t a great experience. By the time Terry and I went back, we were more than prepared and we knew what to do and had fun doing it. As professionals, there were a lot of events that, well, if you have a championship that we could put after your name, it would be a big help. So we buckled down and did the event, and it worked out for us. On working on The Cutting Edge: We went to Lake Arrowhead because Robin Cousins invited us, and Robin and I became partners in a lot of professional events. And he got me involved in The Cutting Edge because he was the choreographer and he hired me to be his assistant. And I learned how to do camera work because they couldn’t find anyone who could skate and follow the action close enough. And at the end they needed some sort of fantastic make-believe trick, and in the beginning it was a trick that Terry and I did all the time. Moira [Kelly] was very interested in skating and was very trainable, and did a lot of her own skating in the show. DB Sweeney felt he was a hockey player, which was a little difficult, and he wanted to do all his own skating but he really wasn’t good enough to do it. So after the first week or so he didn’t do as much as Moira did because he just didn’t look as natural. I have a copy of the first script, it’s pretty funny with a lot of jumps misnamed and stuff like that, but you could tell that it was going to happen — that it was going to take off and become something. The director of the movie, Paul Michael Glaser from Starsky & Hutch, was very dedicated, and it was a difficult time in his life because his son and his wife had AIDS. And I think he immersed himself in that particular film just to get past the heartache. He was very into making the movie work, and easy to work with — if we would tell him, that’s not what we do in skating, he would say, well, tell me what you would do and we’ll make it happen that way. I think that was part of the success of it. But Moira in the end broke her ankle skating over a cord, and we ended up having a lot longer stay in Canada than we thought. We were supposed to be there six weeks and we ended up being there eight months. On the state of professional skating today: It’s a different world then when I was skating and in ice shows. There were more things that could be done. Potentially you could become more of a star, and people in skating would have a sense of who you were. Terry and I had a following we created, where people would look forward to seeing us at different events, and we were able to make a professional name for ourselves. I think that’s a little harder today because the opportunities to star in an Ice Capades and move up in the ranks are blurred by character-based shows like Disney on Ice. They’re wonderful shows with wonderful skaters, but the stars are the characters. Holiday on Ice has always been a great venue, but with the length of the tours and how they run them, you don’t get the names out of it like you used to. You can look at the 70s and 80s and look at a name and remember that they were wonderful, and it doesn’t necessarily follow that the person was an Olympic champion or a national champion, just that they were a great skater. People rose up through the ranks and became names in the skating world, and that doesn’t happen now. I’d say that there are plenty of opportunities, but maybe the nature of it has changed, and you have to keep looking now for the next job. The cruise ships are great venues but they’re smaller casts. And they’re six-month contracts so at the end of every six months you have to decide what you’re going to do next. On her most embarrassing skating moment: I think it has to be when I was on the Donny and Marie [television] show. We were in a hurry to get dressed, get our hair done, get our makeup on, get out, get the skates on, and be ready for our shooting. And the first one we did was when Donny and Marie opened the show, they were up on a platform, and the audience didn’t see this at the time, but the skaters were underneath, taking their places and ready to go. And they would say, take it away, Ice Angels, or Ice Vanities — the first season we were the Ice Vanities but we later became known as the Ice Angels. So I think I was hurrying a little too fast and tripped over one of the cables, and fell down onto my hands and knees. Luckily this was off camera, but the crew saw it. So I of course turned a million shades of red, and had to hurry over and get into my spot. Of course, my knees were taking the brunt of it and I was breathing rather heavily, but away we went [laughs]. On starting in skating: I was about 6 ½ years old, and I had an older sister, and my mom actually used to do a little bit of roller and ice skating when she was young. And she had taken my sister and I to the local rink in Anaheim, and we went skating, and my sister was just hanging out with her friends, but I fell in love with it right away. So my mom enrolled me in a semi-private lesson, and it just took off from there. My first exposure to a professional skating show was the Ice Follies. My mom took me to a show in the mid-60s, and I saw the costumes and the music and the lighting, and that just sealed the deal for me [laughs]. They did a number called The Night They Invented Champagne, and they had these beautiful pink floor-length gowns that sparkled in the light, and I was just mesmerized and said, that’s what I want to do someday. The shows back then were spectacular, just the huge production of all the numbers, and of course the great skating too. On her amateur career: I was very fortunate to train under some great coaches, like Lorin O’Neil. He put on these fabulous amateur ice shows that I was very lucky to be part of. I also trained under Sondra Holmes, and Nancy Rush, who was her coach, and eventually the bulk of my training was under Evy Scotvold, who also trained Nancy Kerrigan and Paul Wylie, and Terry Kubicka, who I ended training up alongside. I grew up in the era of Tai Babilonia and Randy Gardner, and Jojo Starbuck and Kenny Shelley, and Terry came along a few years later, and Tom Dickson. It was very exciting. As a kid you don’t realize that, but looking back, you have lifelong friendships that last to this day. We’re scattered all over the country, but when we meet at a Nationals or wherever, it’s always such a blessing to have had these friendships over more than 40 years. I was US novice champion in 1970, and moved up to the junior level and made it to the Pacific Coast championships. But then I developed a foot injury and ended up having surgery and acupuncture and so on, and it became so much pain that I couldn’t tap for my jumps. So I ended up having traumatic arthritis in the joint at the top of my foot. There was an opportunity for me to try pairs skating with Kent Johnson, and we skated together for a while. He had already competed at the Championship pair level, and was waiting for me to take my pair test. And I was just about two weeks shy of taking my Gold pair test, and I re-injured my foot. And by that time I had two-plus years of dealing with this injury, and I got a little disheartened about it and decided to call it a day, unfortunately for my partner [laughs]. 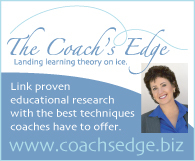 I went into coaching at the age of 18, and I assisted my former coach, Evy Scotvold, and Barbara Roles Williams, who was coaching at one of the other local rinks. I got into coaching that way and then got my own students. On the Donny and Marie show: In 1976 a call came to the rink looking for skaters to audition for the Donny and Marie show. I was 21 and there were three of us that went to the audition. We didn’t know it at the time, but we first had to pass the skating audition, and then go to a room upstairs and do a dance audition. And fortunately I had trained in dance off-ice during my career, as many skaters did then. And I passed the skating audition and then went to the dance audition and passed through. And before you knew it, we were up in Hollywood filming the show. They did a pilot episode and had used some of the Ice Capades girls for that, but then the girls were on tour, so they had to audition more skaters. There were 12 girls and they changed throughout the season for various reasons. I had a full-time coaching career, and the schedule for me and my friend Sherri Sweeney, who was also coaching — we got up and went to the rink and coached for two hours in Anaheim, we’d get on the freeway, drive up to Hollywood, rehearse or tape all day long until about three p.m., on shooting days it was longer, and then head back on the freeway in the traffic [laughs] and go to the rink and coach another hour or so, and then go home and fall into bed exhausted, to do it again another day. I was married at the time, a very early marriage, and I just decided that it was too much to do everything. So I decided after that first season to just focus on the coaching. They called me back to do a Christmas special in 1979 that was filmed in Provo, Utah, and they used the skaters again. A lot of people who followed the show recognized the skaters, but after the third season the Osmonds had built their own studio in Provo and they decided to use swimmers and disco dancers rather than ice skaters. I believe [the change] had to do with finances, because they didn’t want to pay for all of us to come out and stay there, or maybe they decided the figure skating was done and they wanted to try something different. But I’m pretty sure it had more to do with the finances. Bob Paul was our choreographer, and he was fabulous. We were so fortunate to have him as the ice skating choreographer, we had a different dance choreographer that we worked with, and it was great fun. All the girls had a blast, Bob was wonderful to work with, and it’s very nice that he’s still coaching and that I get to see him still. We interacted with Donny and Marie a lot. At the time Marie was 16 years old and Donny was 18. And Donny was a prankster, he loved to play practical jokes, maybe on his brothers more than on us girls. But they would come out and sit and have lunch with us, and Marie being the only girl, she of course reached out to us girls, being in a family of all boys [laughs]. And when we had our recent reunion, she never had the high school experience, since she was tutored on the set, so it was like a high school reunion for her. And we had put together a book of memories of us then and now, we updated her on everything we had been doing, almost like a little yearbook, and she was very appreciative of that. On the evolution of professional skating and the state of professional skating today: There were so many shows and TV specials on TV at the height of its popularity, maybe to the point of over-saturation, but it comes down to the financial situation. The old skating shows, back then you had Ice Follies, Ice Capades, Holiday on Ice, and then Disney on Ice came along, all catering to families. And back then we did not have the Internet and video games and everything that is now so easily available to everyone. So I think what happened to the big professional shows is, they had to compete with all that new technology that kids are attracted to. And now we only have Disney coming around here once a year, and here in San Diego, Stars on Ice does not come here any more because they weren’t selling enough tickets. The economy got hit badly and people don’t have as much disposable income. The popularity of figure skating in general has dropped off since the implementation of the new judging system. People don’t understand it as much, so they’re not likely to watch the competitions on television as much as they used to. And so pro skating has unfortunately taken a back seat to many of the other options out there for family entertainment. So this is why the Professional Skating Historical Foundation has come to be. We have artifacts that go back to the 1920s, and I think it’s so important that we educate the public, and especially the young skaters of today, what skating was like, where we’ve come from, how they are privileged to be able to skate because of some of the pioneers of our history like Sonja Henie. That’s why we used Sonja Henie on the cover of our brochure, which just recently came out. We’re applying for grants to preserve DVDs and costumes and posters, so that is not lost. That’s a huge part of what we are today. And we feel as the board that we need to preserve this for future generations. But we’re talking about finding storage space, cold storage, so that these items are not lost over time, and converting the many, many reels of film to DVD so that can be preserved. And that takes funding. So we are working with a wonderful gal who’s a grant writer, and working on getting funding to get our collections out there and educate the public. And you know, whether you’re a skater or not, at some point a lot of families did go see an Ice Capades or an Ice Follies, or watched some of these shows on television. It gives you a good nostalgic feeling, and I think that’s lost in today’s world. There aren’t that many activities for families to do now that are wholesome. On her most embarrassing skating moment: I skated in a club show in Pennsylvania and stepped on the ice with my guards on [laughs]. At showtime, it’s not fun. 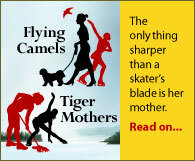 On starting in skating: I actually started as a roller skater when I was eight years old, and competed for many years. And that’s when roller was patterned after ice, which unfortunately it’s not any longer. And then I left roller after winning two national titles and then got smitten with dancing. So I studied ballet, modern, jazz, just couldn’t get enough, and ended up getting a master’s degree from UCLA in dance. Then I met Ron Ludington and came full circle to skating, but this time on the ice, and began working with all his skaters around the 1984 Olympic time, and I’ve stayed in skating since then. On her professional skating career: I came back to skating with more of a commitment to see it emerge as an art form, the type of work that John Curry was doing. So I worked with Robin Cousins on some things, and I skated in Dorothy Hamill’s Nutcracker. So I didn’t do the touring shows like Ice Capades and Ice Follies. I think skating has a lot of potential as an art form that’s still untouched, and I’m very sad that we’re not seeing theatrical ice shows any more, unless you’re on a cruise ship. Willy Bietak’s doing fantastic ice shows, but we’re just not getting the theatrics on land that I would like to see. And I’m seeing our younger generation of kids growing up don’t even realize that these things happened, so that’s why I think it’s so important to preserve this really rich and colourful history of skating. On the City of Angels Ice Theatre in Los Angeles, which she co-founded: We had a great host of professional skaters and we did quite a few interesting works. I would have liked to see a company that had staying power. We were performing and had a regular touring schedule, but we really couldn’t find a way to do what we wanted to do financially, unfortunately. And a lot of us that have a commitment to ice theatre work, we’ve all found the same challenges in it — finding venues and audiences, and rehearsing. A dance venue is maybe $25 an hour, but ice is $200 or $300 an hour. The logistics were challenging. Two years ago I interviewed with Cirque du Soleil, with Guy Caron, one of the founders, and they were very seriously considering doing a Cirque du Soleil ice show. They were in the research phase, and Guy had been given 18 months to research it. And the last time I spoke with them, they said they were still looking for a partnership. So Cirque was very interested, and Guy Caron said that he felt like he could come up with something that would re-ignite skating the same way that Cirque re-ignited the circus. But so far, they haven’t done it. On working as a skating choreographer: I’ve had a wonderful varied career, and I’ve had so much fun. And then my star student, Will Ferrell [laughs]. Choreography is my passion, for sure. I love the process of choreography and watching it develop. It’s just a process with the IJS. It’s definitely more limiting, and a different mindset of points, points, points, but you’re choreographing with, I like to say it’s more like the pieces of a puzzle that you fit together. So the freedom that we once had, oh, if the music calls for axel, double axel, double axel — we can’t do that kind of thing. So it’s just a different process. My preference is for choreographing theatrically, definitely [laughs], but you have to adapt to what we have to work now with in the competitive arena. On coaching Will Ferrell for the movie Blades of Glory: He was so wonderful. He was a little bit of a reluctant skater, he did what he had to do, but he was just so great with people, with the kids. I can’t say enough nice about him, he was a wonderful man and great to work with. And he actually learned to skate backwards. That took quite a few months [laughs]. And one of the highlights of my career was working with Bob Turk. We connected because his dance peers were my dance mentors. And one of my proudest choreographic pieces was with him at the Tribute to the Art of Figure Skating, where Scott Davis was the lead and Bob had the music composed, and it was just a really wonderful tribute to the art of skating choreographically. On her biggest wish for pro skating moving forward choreographically: I’m hoping that a cycle comes around again and we do start seeing some theatrical-style events emerge, and not just the star-driven exhibition shows. A lot of people feel that the expenses become prohibitive, but things do in circles, so that would be my biggest hope there. And my biggest hope for the Foundation is that we find a true home in a museum setting that will house all of the incredible artifacts and history of pro skating. There’s a lot of collections across the country that really have no place to go, and my concern is that a lot of it could become scattered to the winds. So my hope with the Foundation is to find a home where it will all be well preserved.